aha! theres an interesting subject, the romanians! whome ancestors are roma (gypsies), what i dont understand is, why theyre persecuted as a people(the gypsies), when the they originated from India, whome at the time were heavily indo european, who also mixed with persians, then several indo european and aryan tribes, armenians, greeks, medes, caucasics, slavs, hungs(non european), ilyrians, etc....is it simply because they have darker hair? their persecution seems very heavy in the west, esp when hitler killed of Gypsies and Serbs claiming they were mutts? why is it that dark hair makes people impure? do whites not suffer enough persecution amongst others that they must inflit it upon themselves? anyone can easily pick the darkest and lightest of each, my gf's cousin is very dark and looks asiatic, and i know a gypsy guy at my gym who has blue eyes and very white skin, perhaps for the most part gypsies are dark, but you have to remember india is a sunny place, compared to the forests of hungary and northern europe/asia...i never said gypsies were WHITER, i just dont like the fact that people attack them for the reason of them being darker...either way, i wouldnt want them in my country lol they can stay in romania, however i like there music! I like 'gypsy music' too, it originates with ethnic Hungarians around the time of WWI. Gypsies became musicians as it was once thought of as a lowly profession. Traditional Rom music doesn't use instruments. 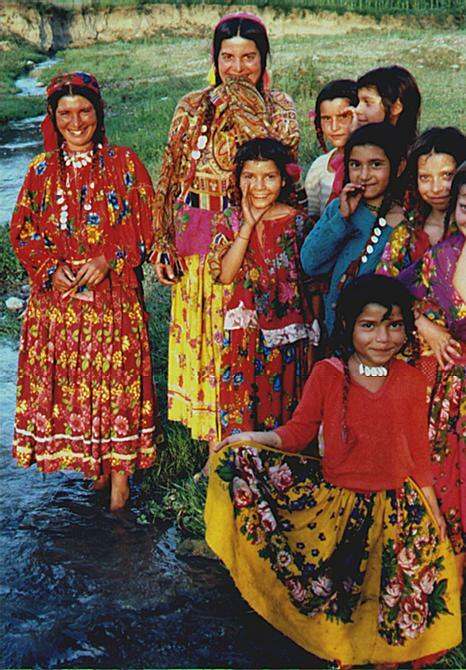 Some gypsies are "white" I've seen some in person, in photographs and on TV. I heard enough about their behavior to know they are not "Aryan" or white. Generally Romanian gypsies are the absolute worst. Gypsies are really a phenomenon. If they originally come from India, it is strange they have endured for so long. They are today scattered in Europe, living in the countryside with their dirty lifestyle. They are a dangerous people, not all of them, some are not harmfull to the societies next to which they live, but some of them commit many crimes which belong to the record of unsolved crimes of many nations. 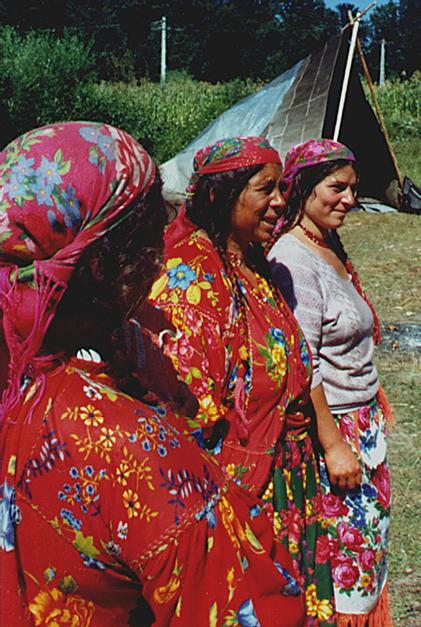 In a strange way, most of the gypsies of Europe believe to be from Romania. Even if they have never set foot to Romania, they believe it is their European homeland. The same occurs with many Vlachs. I dont know much about Romania since Im Armenian , so I know that there were Gypsies in Armenia (now Turkey), and also in Smyrna, which the Armenians and Greeks of that region "supposedly" whiped out along with Jews. Ive only met one Gypsy from Armenia, and he looked basically like a middle-eastern, or a Turk. 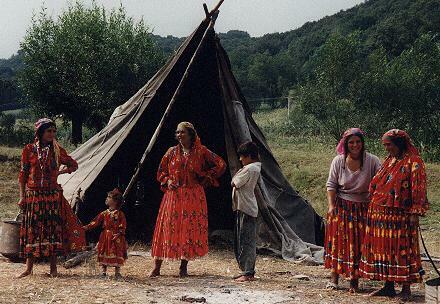 I know there are many Gypsies who also originate in Turkey, because many gypsy clothing and music (symbols, kemenche, etc etc) are from that region. I read an interesting book called THE GYPSIES OF EASTERN EUROPE, It speaks heavily about the Yugoslavian and Turkish Gypsies. However I don't think it's fair to judge people soully on generalizations. As I said, my own grandfather, an Armenian from the Laz regions of Turkey, was abducted by Gypsies, THEY WERE NOT LAZ, as laz are also considered to steal childeren, but Gypsies of the region. He told me they were very kind to him, never told where he was from or who his parents were (he was 4), yet always reminding him of his Armenian herritage. Oddly enough he grew up liking ciganska and turkish music, instead of hating it and them. I think the main reason they didn't tell him he was gypsy was because of his extreme dipigmentation, and Turkish Armenian facial features (much like my facial features). I guess they figured he would have figured he wasn't Gyspy somewhere along the way. But the question remains, why do we put down the gypsies, when blacks and arabs are taking over the heart of the west as we speak? The gypsies are a cultural entity that I think makes eastern europe what it is musically and culturally somewhat, despite you saying that Gypsy music originates from Hungarian, (the small cello, bagpipe, essentially zurna with a bag, cymbols, cymbaloms, harps) all of which are also Armenian instruments. Are you saying Armenians also stole them from the Hungarians? The peoples of asia minor are far more ancient than magyars. What I meant was the beat of the Gypsy music, be it a combination, or a Gypsy origination, it is what the basis of the Balkan, Ottoman, Asia Minor, Greek, and many other countries use for music, as well as Jews, who steal there music from eastern europeans. they look a lot like my type of Armenian (western or turkish armenian), ive never met a hungarian other than my GF, are they similar with armenians? she doesnt look very armenian. she has dark eyes and hair, but extremely pale skin, with a very small nose and larger chin.